In the last post the 24 toe stitches had been evenly divided into three sections of 8 stitches each. The 8 stitches on the left and the 8 stitches on the right were wrapped and ready for the second part of the short-row toe. The second half starts with picking up the first wraps then double wrapping the remaining 7 stitches on each side. I love double wrapping for two reasons: 1) It eliminates any holes that might form; 2) it reinforces the toe in the precise area where it will show wear first. 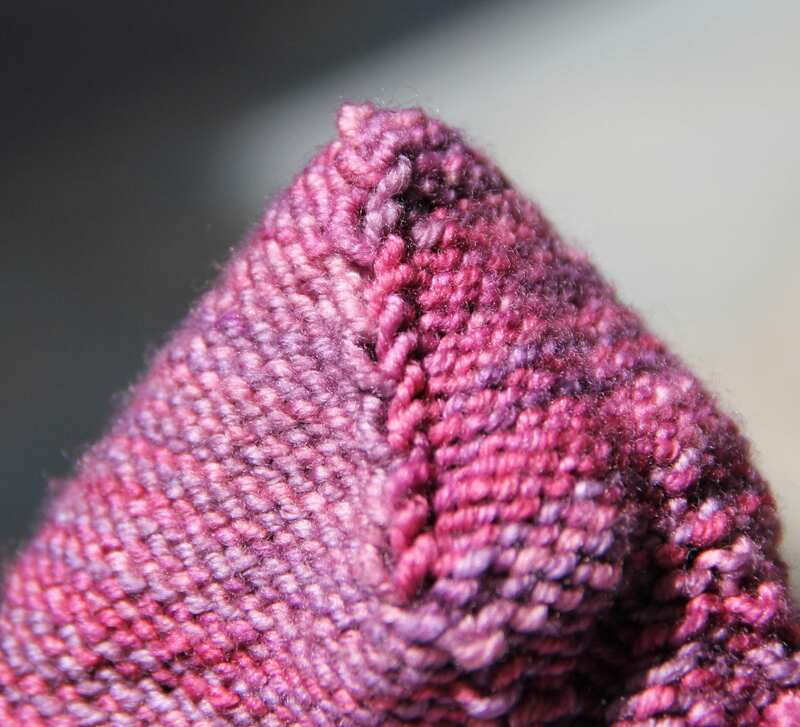 The inside of the sock with a double wrap. 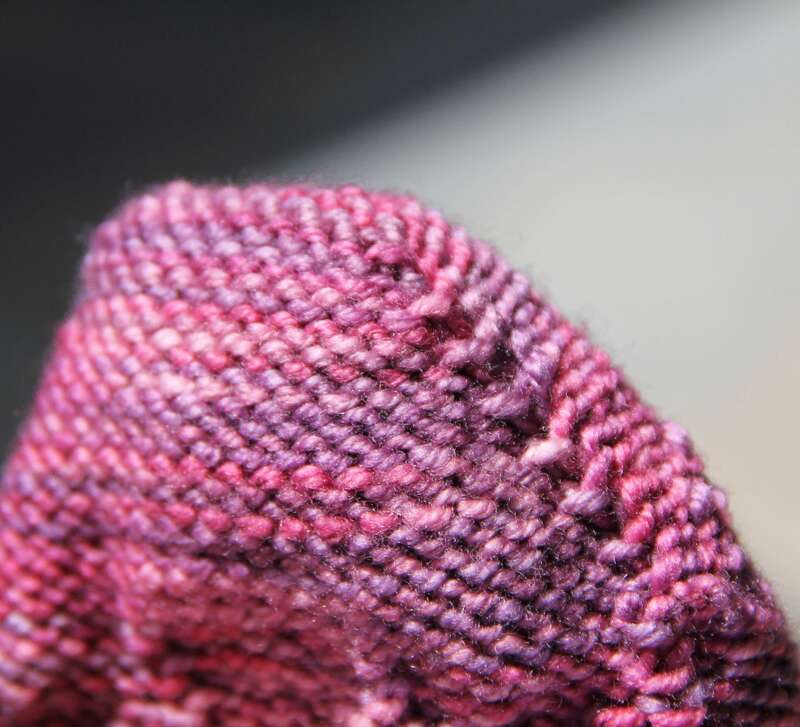 Another picture of the inside of the sock with stitches double wrapped. I have sensitive feet. Yet the double wrapping does not bother my toe area. In fact, it feels darn good. So how does the double wrapping go? The same way the first wrapping went. 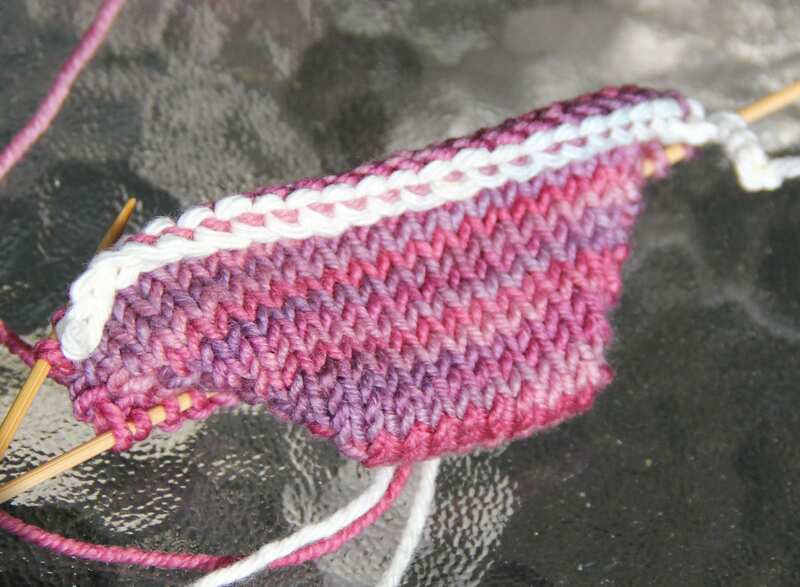 Knit across to the first wrapped stitch. Pick up the wrap and knit it together with its stitch. Bring yarn forward, slip next stitch to right needle, move yarn back (creating a second wrap), turn work. Slip first stitch from left to right needle, purl to first wrapped stitch. 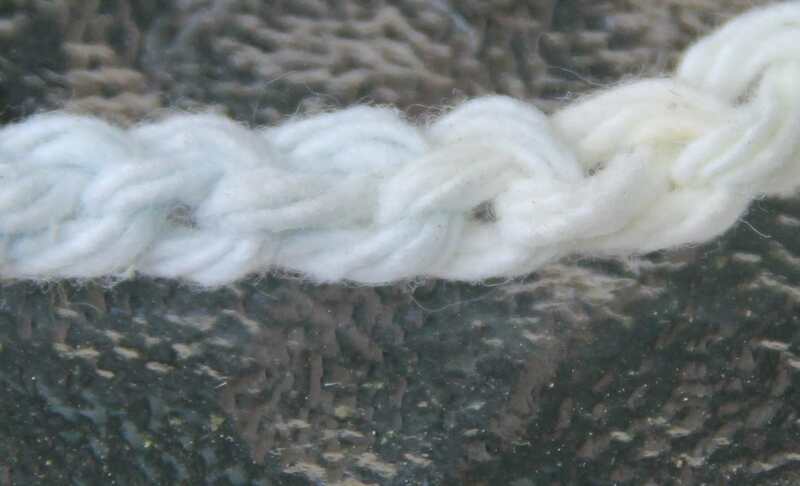 Pick up wrap and purl together with its stitch. Move yarn to back, slip next stitch to right needle, bring yarn forward (creating a second wrap), turn work. Slip first stitch from left to right needle, knit to double wrapped stitch. 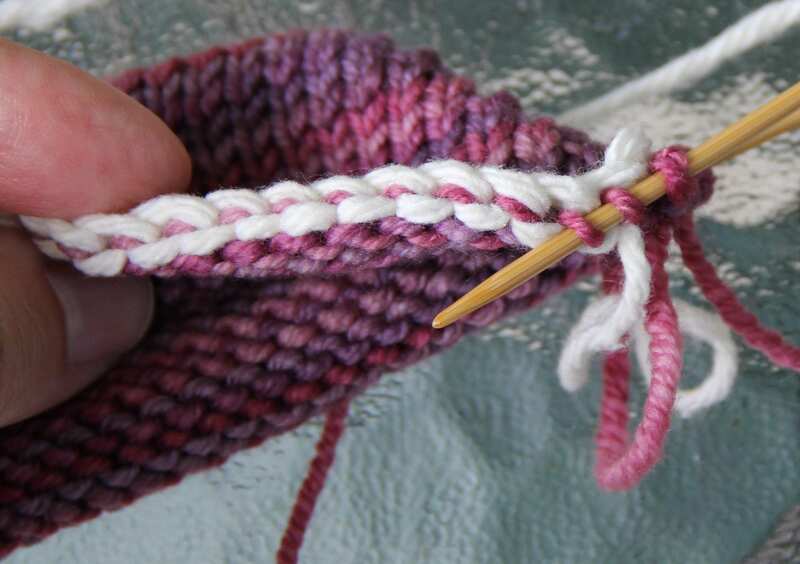 Pick up both wraps and knit them together with their stitch. Wrap the next stitch. Turn work. 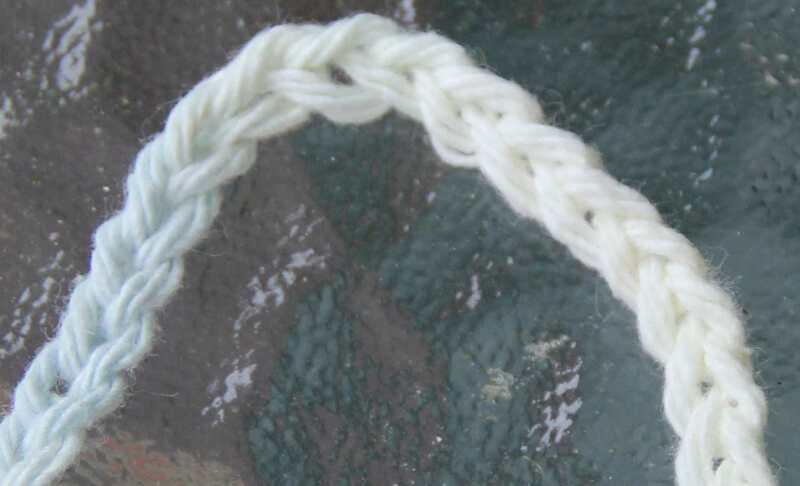 Purl to double wrapped stitch. 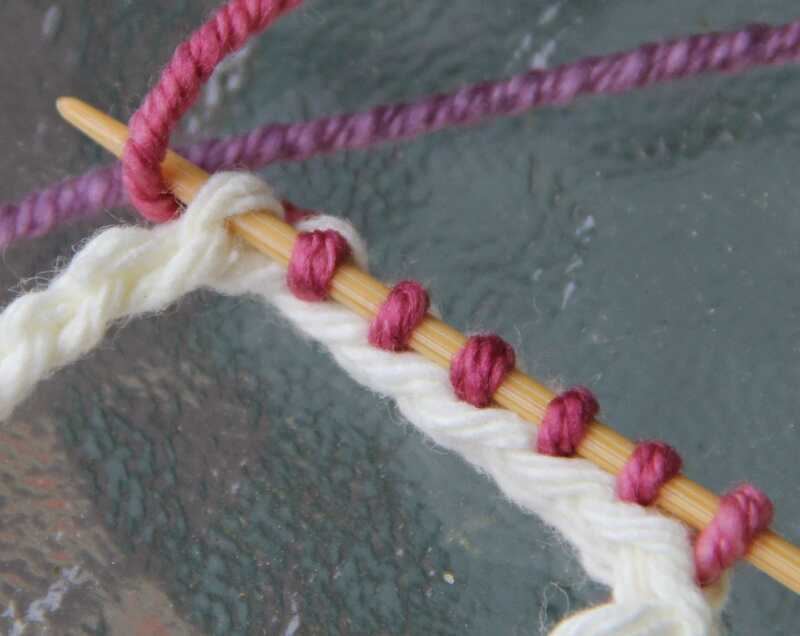 Pick up both wraps and purl them together with their stitch. Wrap the next stitch. Turn work. Repeat until all stitches are worked. All double wrapped stitches have been worked. Time to undo provisional cast on and pick up sole stitches. Once all the stitches are on the needles I like to place a marker at each side of the toe to delineate the instep stitches from the sole stitches. This is how easy short-row toes can be. 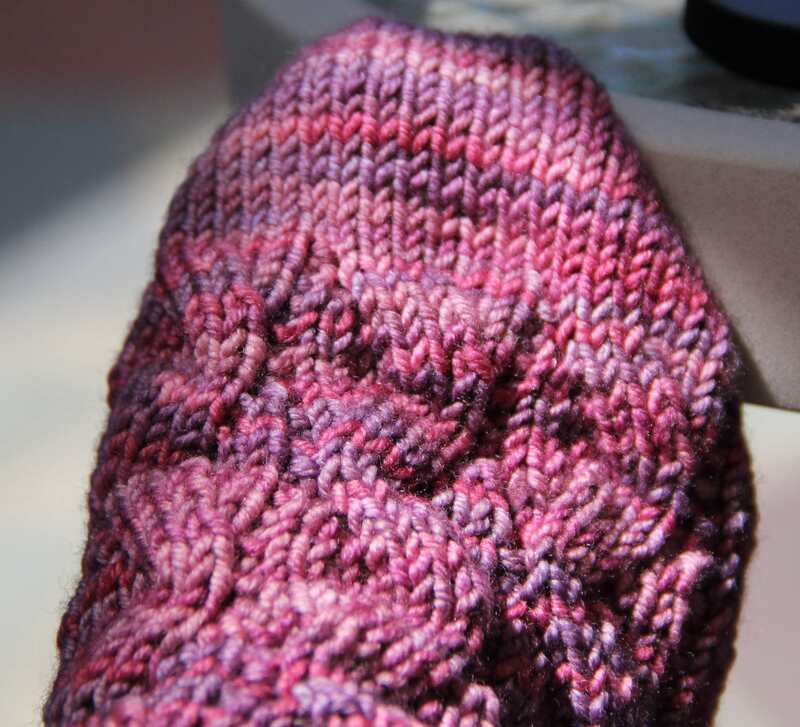 No matter what type of cast on a toe up sock pattern calls for, it is easy to change it to a short-row toe instead.